Yesterday, Blizzard Entertainment published on its site a new information about the upcoming patch 5.3 for World of Warcraft game. First of all, they reported that this update will be released on the 21st of May this year (today). It will include four new scenarios: Blood in the Snow, Dark Heart of Pandaria, Secrets of Ragefire and Battle on the High Seas, the sophisticated new heroic mode as well as new field and arena battles. In addition to these innovations World of Warcraft developers promise to make numerous changes to the existing classes of characters, dungeons, battles and PvP, as well as fix all bugs previously found by players. 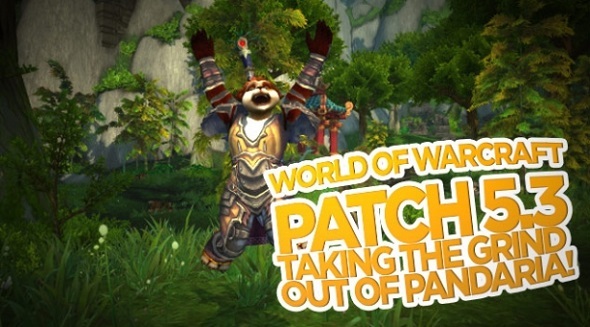 More information about World of Warcraft patch 5.3, you can find on the official game’s site.